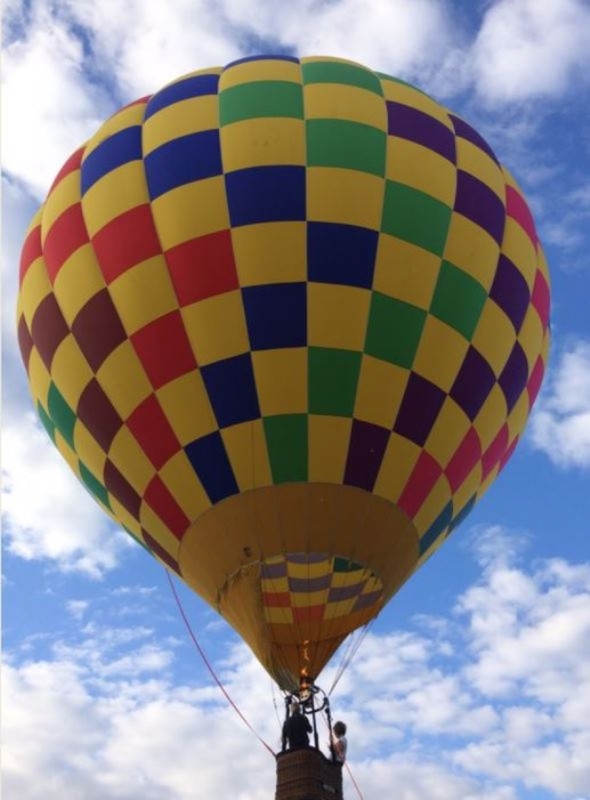 Poteau Balloonfest 2018 is scheduled for October 19th and 20th with 10 Balloons planning to attend this year’s event. Another one of the Pilots returning this year is Bob Richey. “One thing I can say about Bob is… He is very dedicated. A few years ago, he was in a car accident with his truck and he had to rent one that did not have a lift. It didn’t stop him from coming to Poteau. We helped he and his wife unload the huge basket by hand each time they were flying,” said Karen Wages, Executive Director of the Poteau Chamber of Commerce. Bob have been flying for 17 years after crewing for a Tulsa pilot. “As you know, Kris is my crew chief (and half owner of Zippy). We have flown across the country including California, New Mexico, Texas, Oklahoma, Arkansas, Missouri, Colorado, Kansas, Iowa, Illinois, Ohio and Puerto Rico. I am a retired commercial contractor with too many hobbies...ballooning of course, wood working (including furniture making, wood turning and wood carving), gardening, rebuilding a 52 Chevy pickup, and a little traveling,” said Richey. The Balloonfest will start Friday, October 19, 2018 - gates opens at 11:00 am to the public and will close at 11:00 pm. Saturday, October 20, 2018 - gates opens at 9:00 am and close at 11:00 pm. Admission is required for ages 4 & over. Gate admission is $5 per person. To purchase armbands please call 918-647-9178. When using Debit or Credit Card there will be an additional $1.00 service charge per transaction. Please note that all balloon events are wind and weather permitting! 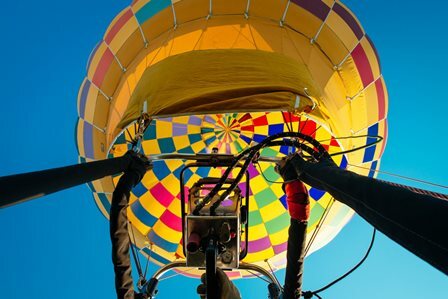 Any and all balloon flights are most likely to occur between the hours of 7am to 10am and 4pm to 7pm. However, they are not guaranteed during these times. The atmospheric pressure and wind speed plays a huge factor in balloon activities. 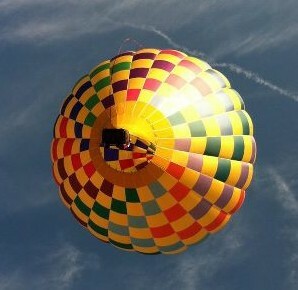 THE POTEAU BALLOONFEST CANNOT GUARANTEE BALLOON ACTIVITIES and CANNOT give specific times for balloon activities. This event is non-refundable. The Poteau Balloonfest was named #3 in the top 40 things to do in Oklahoma in 2014 by OKIESCENTRIC magazine.